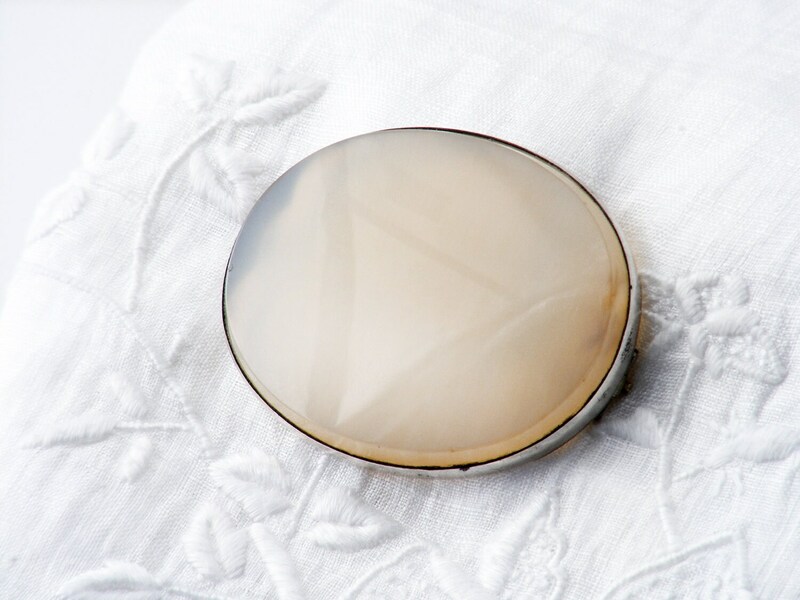 A large oval Victorian brooch that is minimal and very elegant, featuring a slice of translucent latté colored agate. 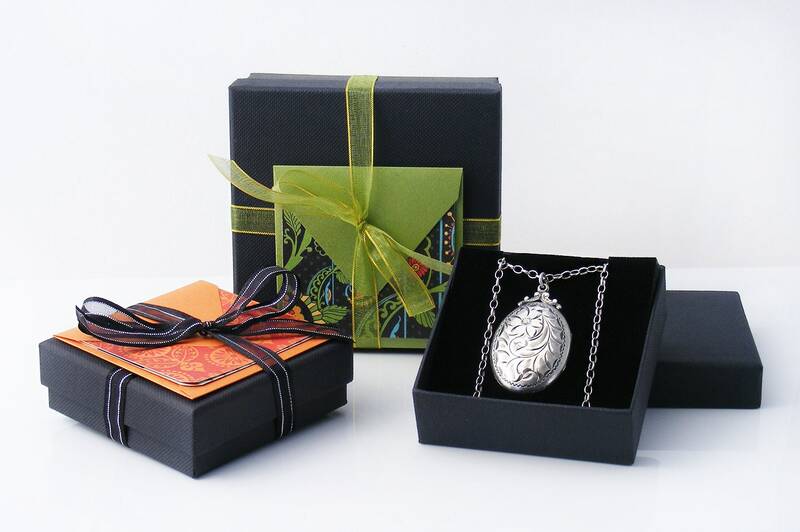 Set in sterling silver, the glossy stone has beautifully bevelled edges and has a lovely misty pearl quality. The stone shows lovely subtle banding when held to bright light. The setting is unmarked sterling silver (not unusual from this era), tested and guaranteed to be such. The clasp is simple c-clasp. Size: .5 x .55 inches or 45 x 37mm in size. Total thickness of the stone slice and setting is 6mm. 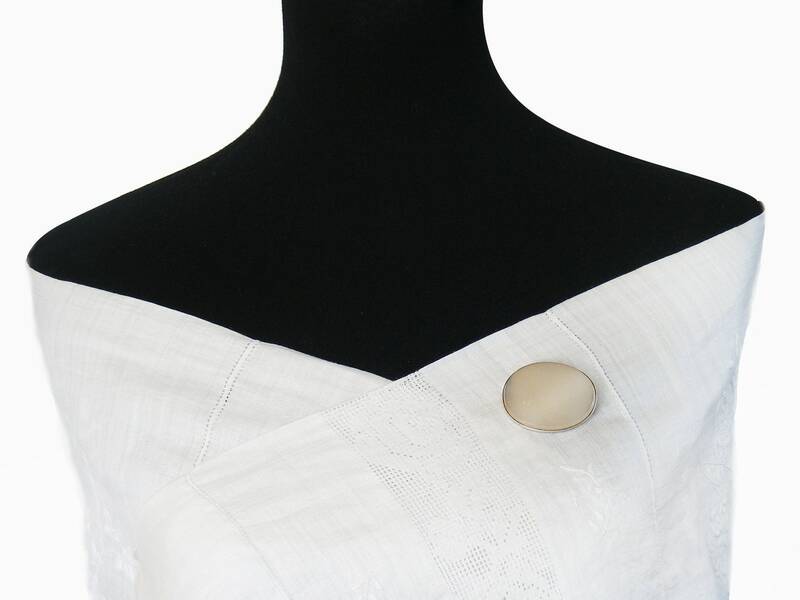 For proportion, the brooch is shown pinned to a life size torso in image #2. Condition: excellent. 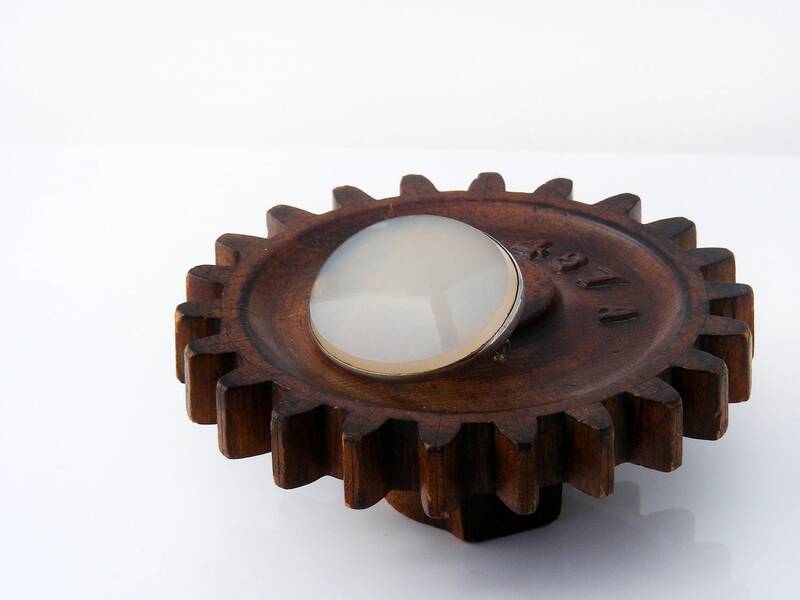 The stone is glossy and beautiful, with no chips or cracks and firmly set. The silver has nice age related patina and the pin is very sharp with a strong hinge. A gorgeous Victorian brooch. 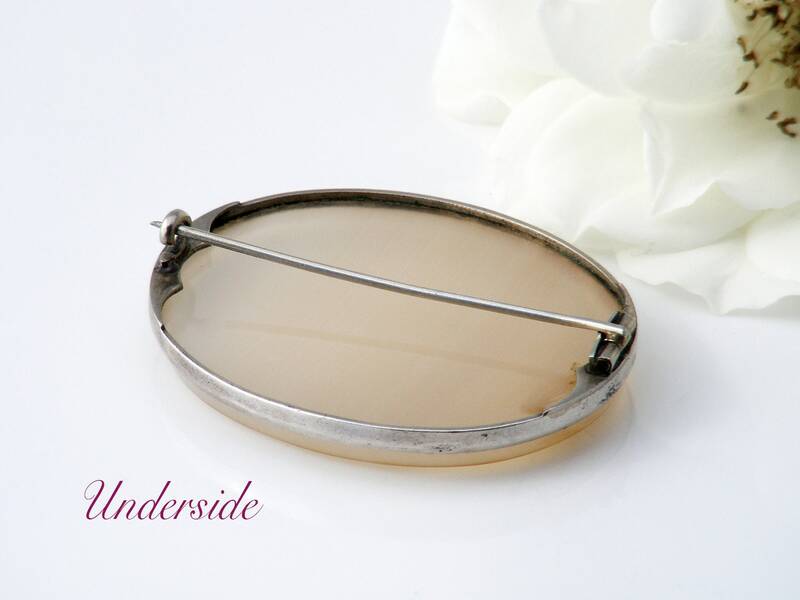 Lovely worn as a scarf or shawl pin, the colour is soft and lovely.